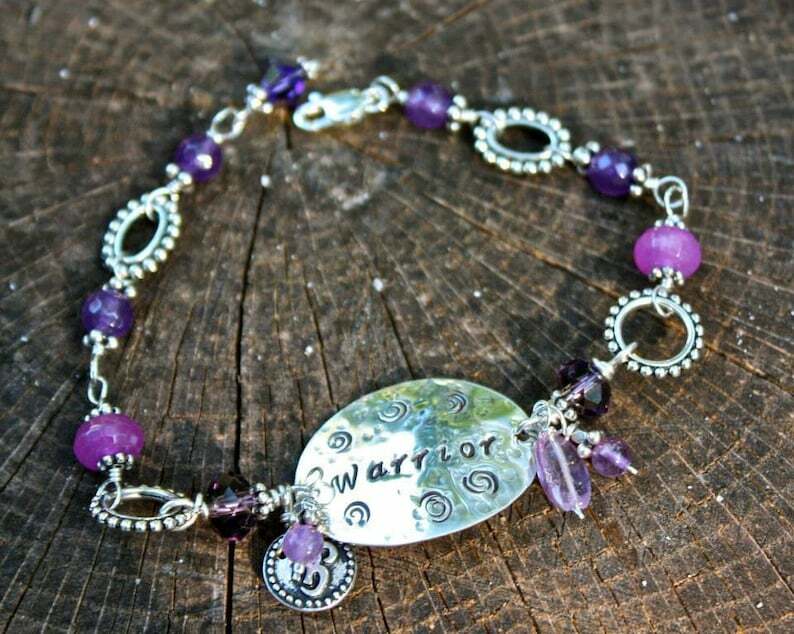 Warrior Healing Bracelet featuring a hand-stamped sterling silver disc centered by sterling silver wire-wrapped amethyst. Adorn with a cluster of amethyst and a OM charm, Amethyst is a healing stone. Most bracelets are 7-8". Made to order. 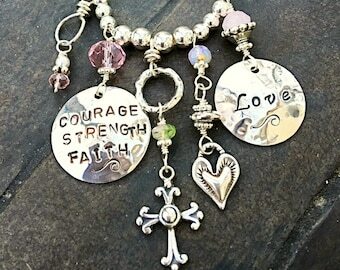 ~ We consider all of our mermaid jewelry to be made with the positive energy of the sea & love.